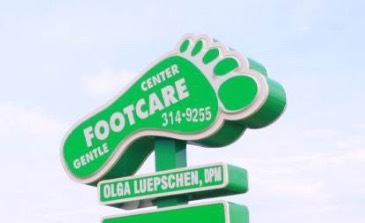 Comfort and convenience are the hallmarks of Gentle Foot Care Center’s office operations. To ensure your convenience below is the information you need about our hours, location, appointment scheduling, insurance acceptance and billing. Feel free to contact our office by phone to schedule an appointment. If, for any reason, you cannot keep a scheduled appointment or will be delayed, please call as soon as possible. Our office accepts Medicare and a variety of other health plans. Please call our office to verify acceptance of your insurance carrier. We accept cash, checks, credit cards, care credit and health insurance payments for our services. Fully computerized electronic medical record (emr system), which has been shown to decrease medical errors.